"It's a pattern! We're born into this system…" An official trailer has arrived for an eccentric, offbeat British drama about two schoolboys who become friends and chase bigger dreams, titled Scott and Sid. This is the first time we've heard anything about this film, which doesn't seem to have shown up at many film festivals but is opening in cinemas in March (at least in the UK). Directed by the real life "Scott and Sid", Scott Elliott and Sid Sadowskyj, the film stars Richard Mason as Scott and Tom Blyth as Sid. It seems to be a story about the power of friendship, and how these two misfits were able to inspire and push each other to achieve more than they were ever supposed to, growing up as underachievers. This actually looks fairly good, it's a solid trailer and seems to be a straightforward coming-of-age drama with strong performances. Take a look. Schoolboys Scott (Richard Mason) and Sid (Tom Blyth) are isolated, underachieving and a little lost when Scott transfers to Sid's school as a teen. Sid is the withdrawn, awkward son of an alcoholic mother and absent father, who just wants to work hard, get through his exams and escape into his own life. Scott, meanwhile, is an unloved foster child who's been expelled from many schools, rootless and uncontainable. Neither receives much encouragement from their parents or teachers, but as their friendship takes root they find something in each other that enables them to glimpse a much bigger goal. Despairing of the compromise and limited ambitions around them, and in defiance of the low expectations that everyone has for them, Scott and Sid write a list of goals and begin pursuing each one in turn to create a better life. 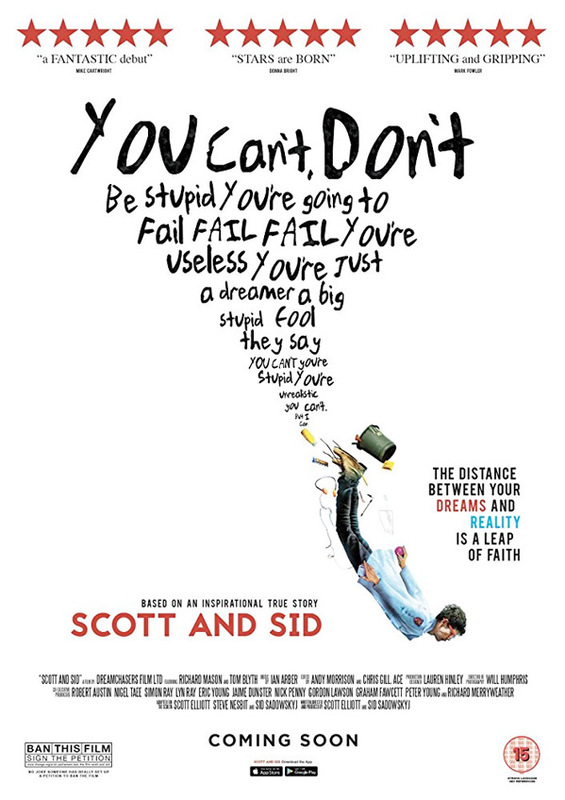 The withdrawn, overly serious Sid is inspired by Scott’s wild and untamed spirit, while Scott draws strength from Sid’s boundless work ethic and determination to get ahead. Scott and Sid is written and directed by the real "Scott and Sid", Scott Elliott & Sid Sadowskyj, both making their directorial debut. The film is set to open in UK cinemas + on VOD/DVD starting March 2018. No info on any US release yet. Thoughts?